This is a companion post to my previous one profiling the speakers participating in the two panel sessions I'm moderating at Streaming Media West. This session had originally featured Andy Plesser from Beet.TV but he was unable to make it and currently his seat has not been filled. Ric Camaho from Thomson Reuters was also originally scheduled but Saidah Nash who's also from Reuters has taken his place. See the previous post for my bio. Mark leads the Sales and Marketing efforts at TubeMogul, with a focus on communications and marketing activities surrounding customer acquisition, product launches, and industry analysis. He previously worked in Marketing and Business Development at Healthline.com where he developed partnerships for the company's content and tools. Prior to Healthline, Mark was a management consultant for Stockamp & Associates where he advised multi-billion dollar healthcare organizations on IT implementations for operational improvement and financial reporting. Mark has an MBA from UC Berkeley's Haas School of Business. Founded in 2006 by online video buffs who met while in graduate school and won the UC Berkeley Business Plan Competition, TubeMogul's objective from the start has been to empower online video producers, advertisers and the online video industry by providing publishing tools and insightful, easy to interpret analytics.With TubeMogul, users upload videos once and TubeMogul deploys them to as many of the top video sharing sites the producer chooses. TubeMogul's integrated analytics then provide a single source of metrics on where, when, and how often the videos are viewed. TubeMogul's free beta service has been live since November of 2006. In January 2008, TubeMogul announced the launch of its Premium Products, which include a host of new professional features. Upon launch, TubeMogul boasts a client list including CBS Interactive, Michael Eisner's new media production company, Vuguru, Next New Networks, and several agencies representing the top brands in media, technology, and consumer products. Paul is the Chief Executive and a co-founder of For Your Imagination and is a seasoned marketing executive and general manager with 15+ years of experience in building interactive marketing agencies and online media companies, as well as, traditional marketing and sales roles at education and pharmaceutical companies. For Your Imagination develops and markets high-quality original Internet TV and web video series, turning concept into reality for brands and content creators. The company works with brands and content creators to develop their online video content, offering them the opportunity to reach a targeted advertiser-friendly audience effectively and monetizing quickly. For Your Imagination’s talented team writes, produces and markets entertaining videos for online distribution and monetization through advertising, sponsorships, merchandising and licensing. New York City based For Your Imagination is built upon the experience of industry veterans whose combined expertise include web development, major television and movie production, national marketing campaigns and technology. 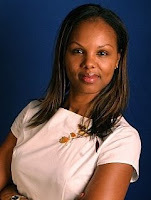 Saidah Nash is Vice President for Digital Rich Media at Reuters. In this role, Saidah leads overall product management, direction and strategy for new multimedia digital syndication product offerings. Key areas include developing new markets, non-traditional revenue streams and next-generation distribution models for Reuters agency medias online propositions. An expert in content syndication, product development, and commercializing content-rich experiences, Saidah has had several roles at Reuters over the years. Previous roles include Director of Globlal Product Marketing, where Saidah was responsible for global product launches, global customer research and embedding client feedback into the product planning processes. Saidah joined Reuters in 1997 having graduated from the College of William and Mary in Virginia, with a degree in International Relations with a concentration on East Asia. Saidah speaks Mandarin Chinese has been at Reuters for 11 years. Thomson Reuters is the world’s leading source of intelligent information for businesses and professionals. Thomson Reuters combines industry expertise with innovative technology to deliver critical information to leading decision makers in the financial, legal, tax and accounting, scientific, healthcare and media markets, powered by the world’s most trusted news organization. Thomson Reuters' media properties are seen by over 1 billion people every day. Reuters Media informs the world by providing authoritative news and information to media and business professionals. Hey Jim Kukral, I Bought a Flip Video Camera!